Dr. Frank is a board-certified plastic surgeon based in Munster. He has provided exceptional care and advice to the local community for almost twenty years. With information about the cost of procedures, Dr. Frank is one of the few plastic surgeons in the nation who is completely transparent about pricing. Throughout your experience, Dr. Frank will give you straightforward answers to questions about your procedure as well as healing time. His dedication to patient care is evident in the time he spends researching ways to improve patient healing time and discomfort. As a graduate of Emory University Medical School with a residency in plastic surgery at Indiana University, Dr. Frank shares his wealth of knowledge and insight to enhance patients’ understanding of their procedures. While Dr. Frank prides himself on exceptional patient care and results, he still maintains affordable prices and financing options for patients who want high-quality plastic surgery in a reasonable price range. “Dr Frank is a excellent surgeon. I felt he listened to what my goals were. I can say I am extremely happy with my results.”..
Dr. Frank, Thank you so much for you excellent surgical work with regard to my recent blepharoplasty. I am so happy with the results and feel that..
Dr. Frank, Thank you for using your knowledge and skill to put the finishing touches on my weight loss transformation. Your dedicated care is enabling me to enjoy.. 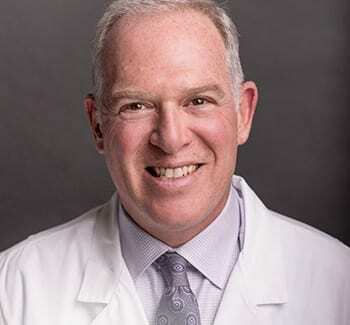 Dedicated to exceptional patient care and committed to his community, board-certified plastic surgeon Dr. Robert Frank welcomes patients to visit his Munster practice for a complimentary consultation. Plastic surgery is a big decision. You want real results that reflect your best, not a completely different appearance. Dr. Frank will listen attentively to your concerns to develop a treatment plan that highlights your best features. The result is an effortless natural beauty all your own. Breast Augmentation More than an increase in size, breast augmentation can completely reshape your breast and add fullness where it is lacking. During your breast augmentation consultation, Dr. Frank will help you select the size and style of implant suited for your body. Dr. Frank is the developer of two innovative patents for improved healing after breast surgery. Tummy Tuck Weight loss is an admirable accomplishment. But if you are left with extra sagging skin that hides the results, you may feel embarrassed rather than proud. Dr. Frank performs tummy tucks for Munster patients who want to tone and tighten their stomachs. After healing from a tummy tuck, all of that excess skin will be replaced by a firm stomach that even hours at the gym cannot achieve. Liposuction It may not seem like a lot, but removing an extra five or ten pounds can take inches off your stomach, thighs, buttocks, and almost any other area of your body. Dr. Frank uses a gentle and effective technique to contour your body by eliminating fat deposits that remain in spite of your best efforts to diet and exercise. Munster patients will see immediate improvement in their body and a sleeker contour that your friends will envy. Free Cancer Screening This Month! Receive updates on the latest treatments and monthly specials offered at our practice.